"At the heart of the Start Fund is the idea that the humanitarian system must learn and evolve – that starts with us." 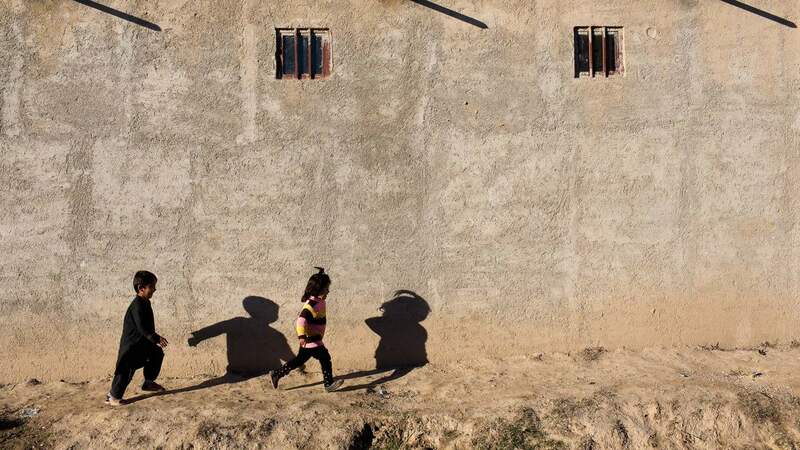 Jim Huylebroek | NRC, alert 135 Afghanistan Children run in the streets as their family prepare their homes for winter. 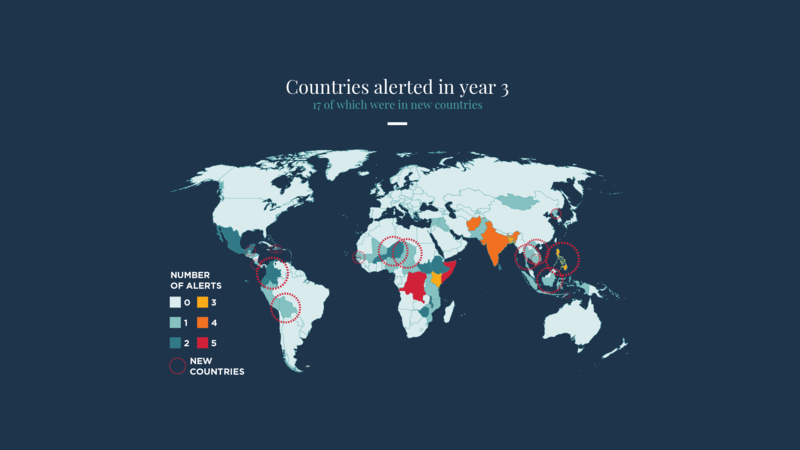 Our third year was one of exciting progress and significant learning, a year in which the Start Fund really established itself as a global force in crisis response. In the 12 months to March 2017, we received 74 alerts - nearly as many as our first two years combined. On the back of those alerts we reached nearly 2 million people affected by crisis, funding 94 projects in 29 countries, 13 of them for the first time. 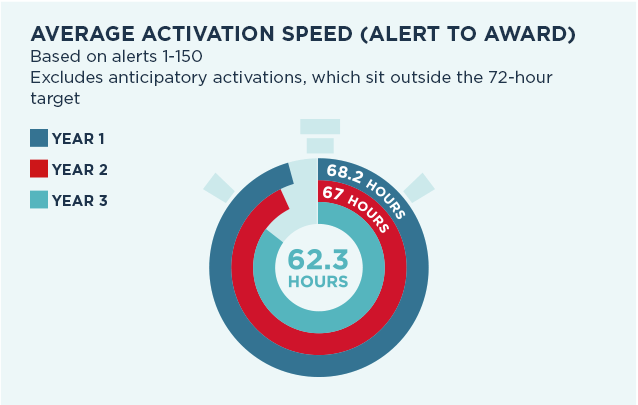 On average we beat our own 72-hour response time by a full ten hours. And alongside business as usual, we made time to focus on our longer-term objectives. We established eight new in-country decision making groups and began work on a national Start Fund in Bangladesh. Both will help to drive our commitment to localised and collaborative action. We launched the Start Fund Anticipation Window. We also invested in research into blockchain technology, exploring its potential to improve humanitarian financing. Since the Fund’s creation in 2014, Start Network members, donors and partners have worked together to create a mechanism that works differently. The Start Fund is proactive, fast and always learning. This annual report features case studies that demonstrate how we work, our growing impact and the year’s critical learning that will help us to evolve in the years ahead. Throughout the report, you will also see examples of how we are keeping the promises set out in the Grand Bargain, agreed by the international humanitarian community in 2016. The package of reforms proposes that donors make funding more flexible and reporting less onerous, whilst humanitarian agencies increase transparency and collaboration and reduce management costs. The commitments of the Grand Bargain go hand in hand with Start Network’s ambitions. We have hit the ground running and are looking forward to the year ahead when our operations will become more transparent, local and data-driven. To learn more about how we are working on the Grand Bargain, please see our full annual report. Thank you to our donors, partners and members. 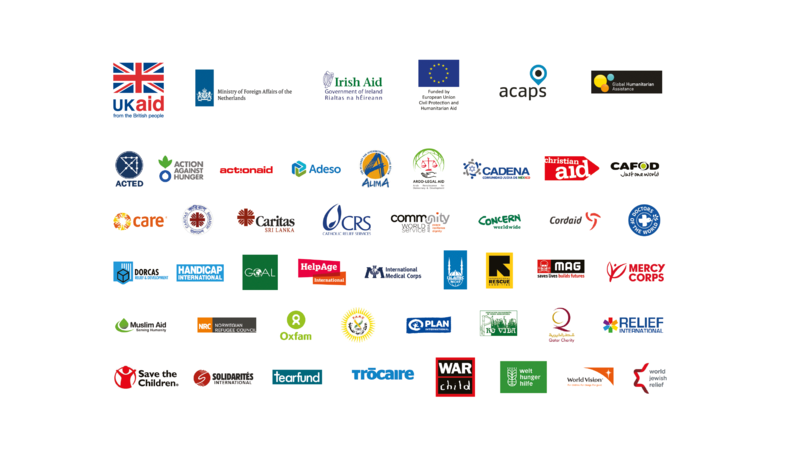 The Start Network comprises 42 national and international aid agencies from five continents. Our aim is to deliver better aid to people affected by crises by harnessing our collective power and knowledge to make faster, better decisions. We pool our resources and develop new ways of working. WE ARE COLLABORATIVE, INNOVATIVE AND FAST. The Start Network created the Start Fund to close a critical gap in the humanitarian financial system, a gap that left smaller scale emergencies unseen and unfunded. The Start Fund enables member NGOs and their partners to respond quickly to crises that would traditionally slip under the radar of humanitarian response. Start Fund projects are selected and activated within 72 hours of an alert, making it the fastest, collectively-owned early response mechanism in the world. Funding decisions are made by local committees close to affected communities, generating responses that are better informed and reflect closely the needs of the people we serve. To learn more about the alert cycle, please read the Start Fund Handbook. The Start Fund seeks to break the cycle of NGOs endlessly competing for slow, often inadequate, funding. We aim to redress the balance of humanitarian action by focusing on crises that do not grab the headlines, and lessening the media and politics-driven funding bias towards large-scale disasters. 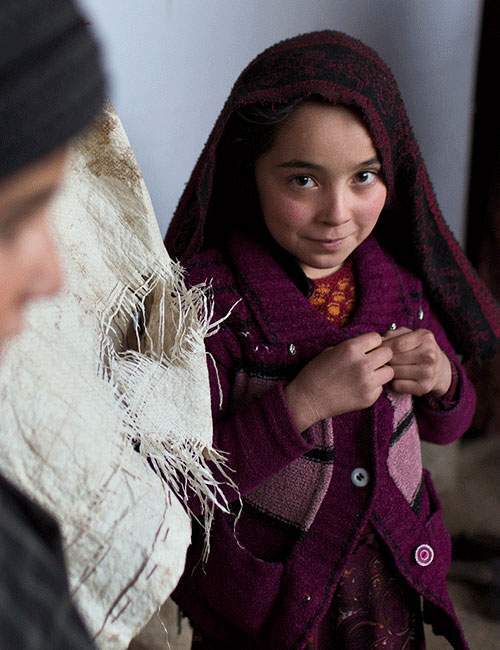 War Child UK | Empowerment Centre for Women, alert, 119 Afghanistan. A group of girls partice creative session, supporting their recovery from the emotional and psychological effects of displacement. In its third year, the Start Fund grew in scale and reach. We helped more people than ever and were active in several countries for the first time. Grand Bargain: How are we meeting our commitments? The Grand Bargain gives us an opportunity to think about how the humanitarian system must change in order to deliver effective aid in a challenging modern world. For the Start Network, this journey started seven years ago. The Start Fund plays a critical role in meeting these commitments. Launched at the World Humanitarian Summit in 2016, the “Grand Bargain” is a package of reforms to humanitarian financing. Thirty representatives of donors and aid agencies developed ten overarching commitments to make humanitarian finance more effective. These commitments are laid out as a bargain between donors and responders: donors will provide more flexible funding with less burdensome reporting requirements, in return, humanitarian responders will commit to greater transparency, more collaboration and reduced management costs. The Start Network is playing a crucial role in meeting the Grand Bargain, which aligns closely with our mission to create a collective humanitarian finance system that is more responsive to the needs of people affected by crisis. Learn more about how the Start Fund is already meeting the Grand Bargain commitments. The Start Fund enables members to respond to crises that fall outside the traditional scope of humanitarian action. This is a significant change to a system that largely reacts to media or donor attention. The Start Fund enables frontline responders to look beyond the headlines and focus on need alone. Amanullah, 60, speaks to NRC staff. 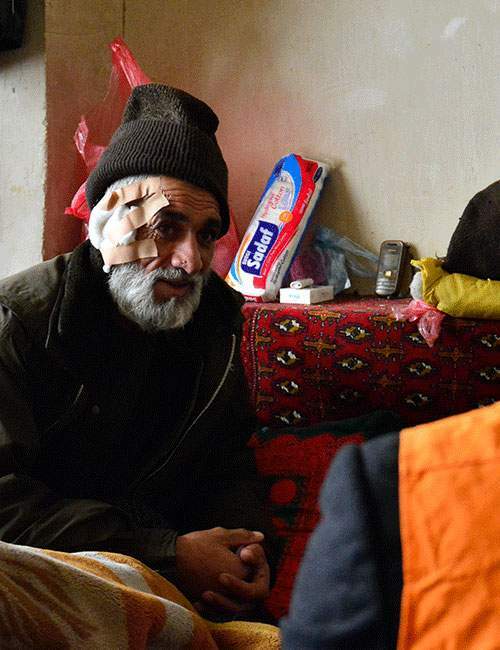 He was injured in a bomb blast and displaced from his home district. 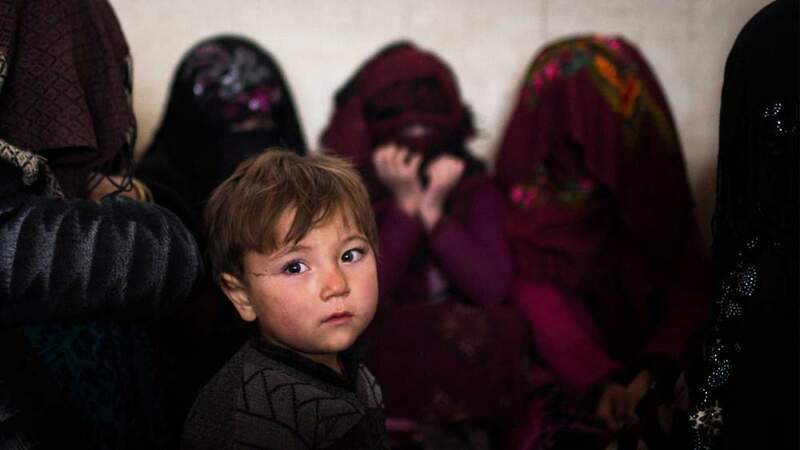 In early January 2017, the Start Fund was alerted to respond to 1,800 families that had been forced to flee their homes by a Taliban offensive in Faryab Province. Few funding mechanisms were available, but also too small to activate larger funding mechanisms. 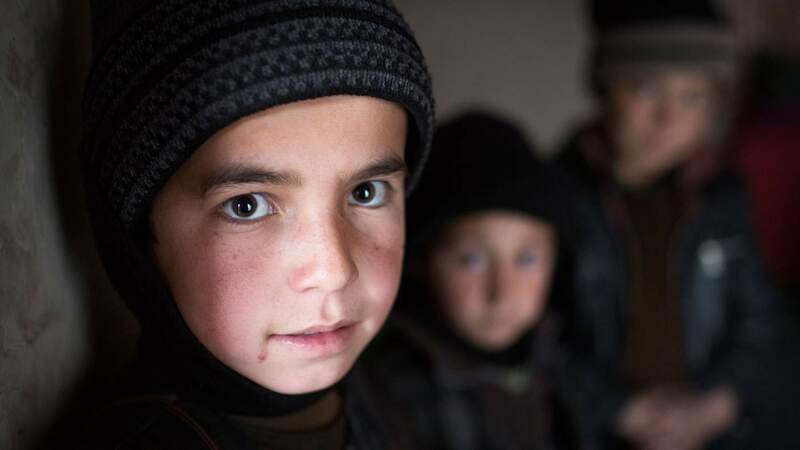 With internally displaced people facing risk of exposure to winter snowfall, the Norwegian Refugee Council (NRC) and War Child alerted the Start Fund. "The response in Afghanistan highlights just how important the Start Fundis to communities around the world that would otherwise be forgotten." NRC staff to their home. Start Fund awarded £162,000 to the NRC and War Child who worked together to help thousands caught up in the crisis. Families had left everything behind and had little or nothing to eat. By the time the alert was raised, children were becoming ill from the cold. Members can alert the Start Fund before a crisis hits. The Start Fund’s Anticipation Window enables members and their partners to anticipate crises and act early to minimise their impact. By acting in advance rather than waiting until after a disaster has struck, the Start Fund can reduce avoidable suffering and loss of life. The Start Fund is the first global contingency fund to encourage its members to embrace the risk of acting on the basis of uncertain forecast information. We realise this is a challenge and so we are building our capacity to provide credible forecasts and enable collective, evidence-based decisions. The Start Fund ran a period of experimentation (Sept 2015 – Nov 2016) to explore the requirements for funding in anticipation of crises. We found that members used the Start Fund in advance of both human-made and natural events. Members alerted to six predicted crises over that period, from predicted refugee outflows from South Sudan across the border to Uganda, to weather-related events such as flooding in Sri Lanka and Mali, a heatwave in Pakistan and drought in Zambia and Ethiopia. Early response and focused preparedness actions are critical in reducing the impacts of man-made and natural hazards. We can only capitalise on early warning if, taking a well-informed ‘no-regrets’ mindset, funding is available quickly, including for situations that may be politically sensitive. This points to the type of arrangements foreseen by the Start Fund Anticipation Window. We have found that anticipatory activations enable not just earlier action but also different types of collaborative intervention. We saw alerts facilitating joint work on analysis, procurement and supply-chain mapping in Sri Lanka; joint capacity and market analysis ahead of a potential cash transfer programme in Zambia; and a coordinated messaging campaign across civil society organisations in Pakistan. 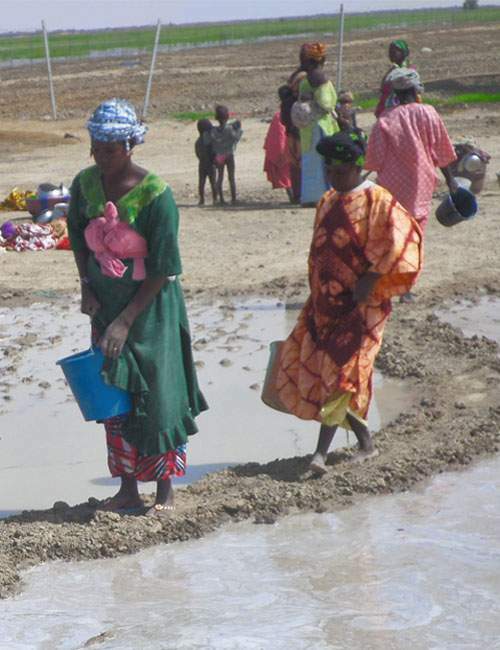 Women in the Tassakane village of Timbuktu participate in cash-for-work activities protecting their crops. Heavy flooding across some regions of Mali last summer led to predictions that between October and December the Niger River would rise two metres more than average, to its highest for 50 years. Data from the Famine Early Warning Systems Network echoed the fear that downstream floods would cause crop losses and food insecurity. Instead of waiting, on October 10 Start Network members activated the Start Fund to help communities mitigate the expected impact. The four members awarded funding were the only agencies helping people to protect people’s livelihoods, homes and belongings before the floods. The collective project aimed to control risk by paying people cash to improve villages’ flood defences, strengthening early warning group communication and establishing flood warning posts. 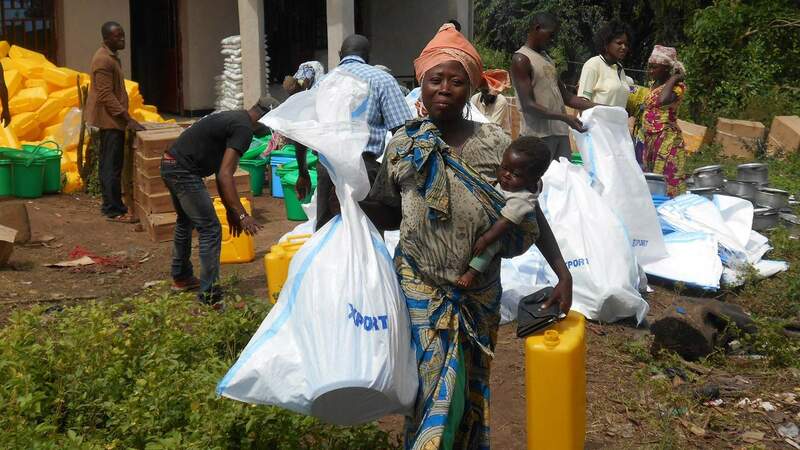 It distributed cash, seed, and WASH kits and communities were advised on how to protect their homes and health. The Start Fund mechanism is so quick, we were able to mitigate risks, and avoid the real costs the floods would otherwise have caused. Agencies were wise to act early. The floods did materialise, particularly in Timbuktu province, and in some areas were successfully diverted by the defences that had been prepared. In areas further downstream, flooding came sooner than expected and activities began too late, so that reconstruction was needed after the water subsided – a reminder of the importance of raising anticipation alerts as early as possible. The Start Fund bridges a critical gap in the humanitarian system. We act fast, responding at the early stages of a crisis in cases where funds are limited or institutional actors are slow to respond. 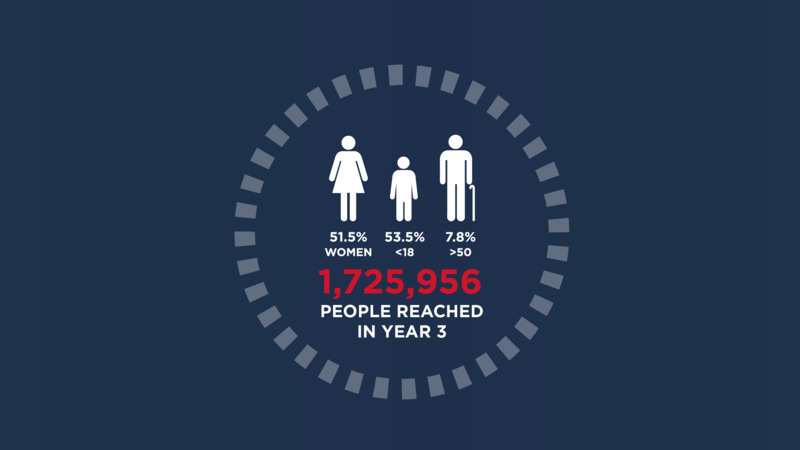 In year 3, the Start Fund received a record 74 alerts, up by 42% on the previous year. On average, a member alerted the Fund every five days. Once the Fund has been alerted, the crisis information is shared, projects are considered and funds are awarded within 72 hours. In 2016, the Fund averaged 62 hours from alert and award, five hours faster than the previous year. For the Fund to be effective, it is not enough for us to make rapid decisions. We need our members to be quick to alert us in the first place, and for the response to be rapid once funding is in place. Over a 6-month period that was analysed in year 3, Start Network members took an average of 16 days to raise an alert in the case of rapid-onset crises. "The Start Fund is unique in the speed with which it delivers. Most pooled funds are not that quick. Even if everything was perfect, we would still be waiting for a few months for funding. In fact, we did go to other funds and they all said ‘please apply in our yearly cycle’"
We need to shift the centre of gravity within the humanitarian system. Decision-making and leadership need to happen closer to people affected by crisis – on the frontline. 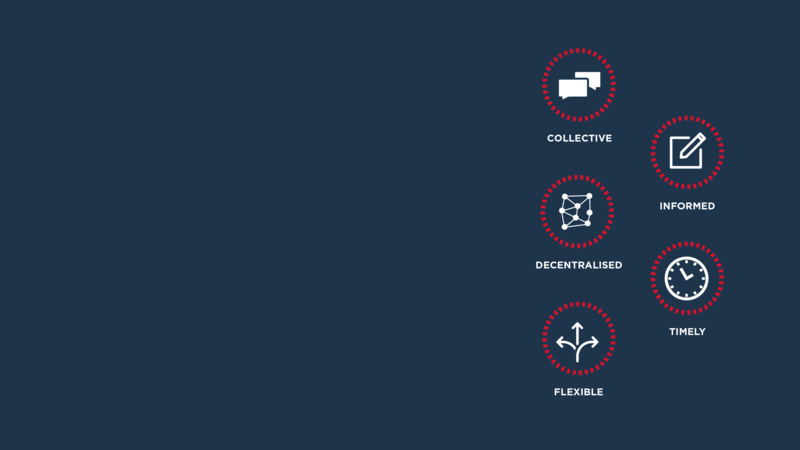 The Start Fund envisions a decentralised humanitarian system in which relationships, resources and information are dispersed and interdependent. With capacity and power localised, aid will be more efficient, appropriate and impartial. A distributed network is also more resilient: if one element of the web is broken, the network remains largely intact and those affected by crisis will still be served. All Start Fund project selection decisions are made in the country or region affected by the crisis. We firmly believe that local decision makers are better placed than their headquarter counterparts to shape responses to local crises. Our method is to include both INGOs and NGOs in collective decisions to ensure that funding goes to the organisation best placed to respond. 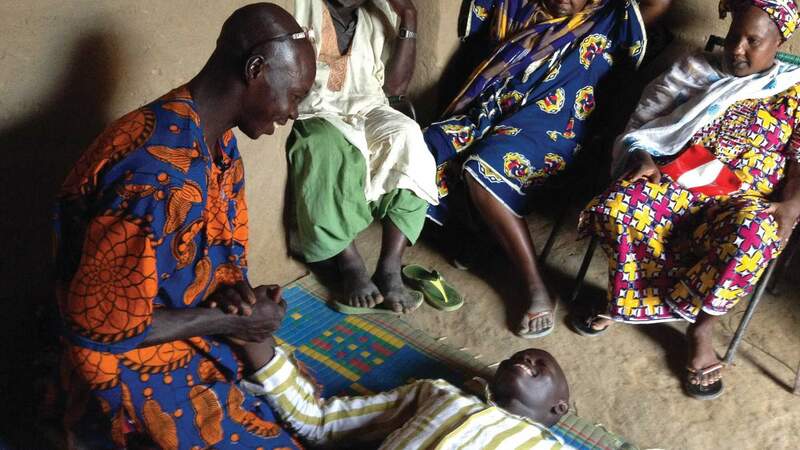 To embed this practice, the Start Network has established 12 standing decision-making groups in crisis-prone countries and regions. The groups bring together senior member representatives and their partners within the country. They are trained in project selection and can be mobilised quickly to select projects when an alert is raised locally. We are developing a fast, consistent and robust decision-making structure that shifts power away from the centre towards the national level. "By engaging in decision-making that was traditionally reserved for donors, participation in the standing group has the added benefit of giving organisations the ability to critique each other and learn from our collective experience and innovations to improve future responses. Above all, the greatest value is that I have a platform to collaborate with other humanitarian actors working in across Horn and East Africa region, to not only improve IRC’s programmes but contribute to better overall responses." Michael Stulman | CRS, Alert 117 Mali | A community member from Bamako participates in a local Early Warning Group meeting to plan flooding mitigation efforts in response to the rising height of the Niger River. The Start Fund puts the needs of people affected by crisis at the centre of decision-making and enables adaptive programming to respond to unexpected or changing needs. Our projects ensure that affected populations are engaged and empowered through multidirectional communication. This enables our members to improve future response and collectively share lessons. The Start Fund has reached 1,725,956 people. Over half those reached were female, and there was growing focus on the young and the elderly. Despite working at speed, every Start Fund project communicates with affected populations both before and during implementation. In the vast majority of cases (92% in year 3) we also communicate after implementation so as to learn how future responses can be improved. Our proactive approach to communication and engagement ensures projects can be adapted as they are implemented. In year 3, 88% of projects reported that additional needs arose during implementation. In the vast majority of cases (95%), member agencies were able to adjust their projects in response thanks to the flexibility of the Fund. 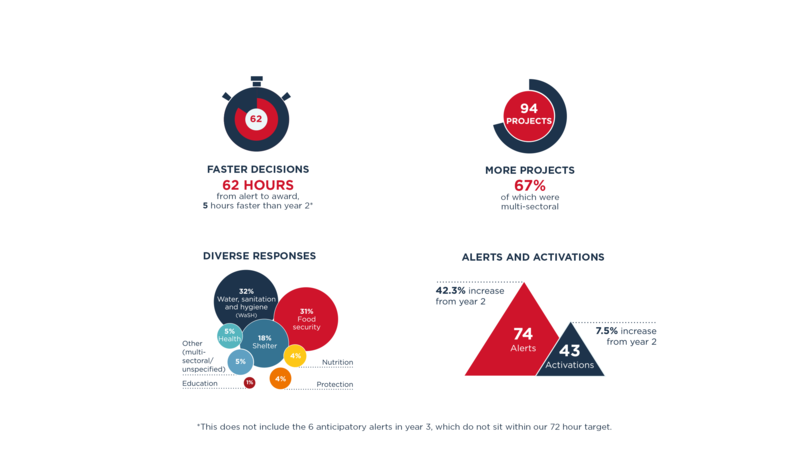 And many of those changes were significant: 59% of all projects stated that they adapted their core activities in order to meet the unexpected and changing needs of complex emergencies. We will be commissioning further research into accountability to affected populations so that it can continue to support the development of empowered and localised decision-making. When deployed appropriately, cash has the potential to bring fundamental change to humanitarian action and yet it is only used in a small fraction of responses. Faster, cheaper, more transparent and flexible – we need to utilise the strengths of cash in disaster response. 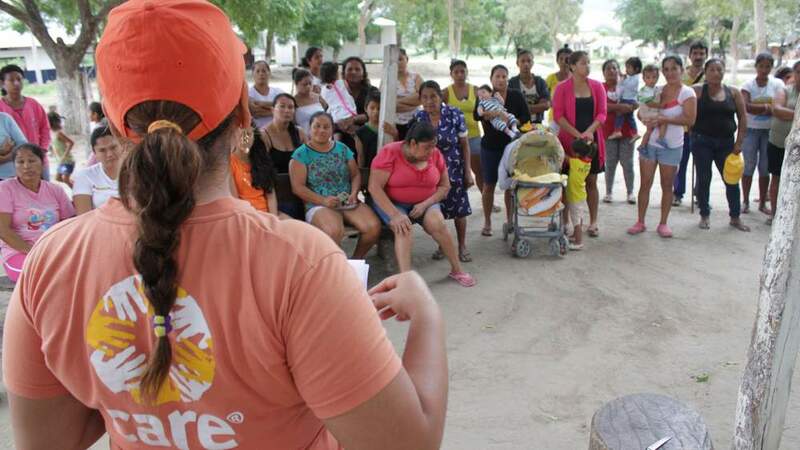 There is growing recognition that cash and voucher transfers can be highly effective in supporting crisis-affected people in ways that maintain human dignity, provide efficient access to food and shelter, and help to rebuild livelihoods. In year 3, nearly a third of all Start Fund projects reported using cash as a component of their response. Cash was primarily used to supplement the distribution of food and non-food items. Projects used a variety of distribution methods, from unconditional cash transfers to cash-for-work and voucher schemes. 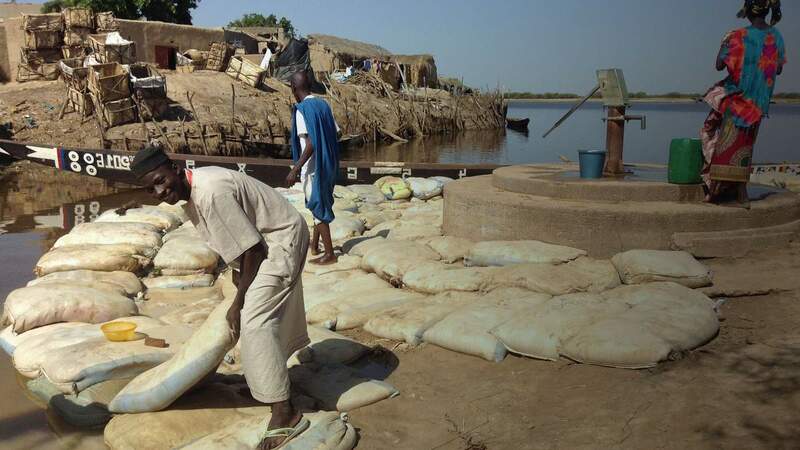 For example, the anticipatory response to flooding in Mali included cash-for-work projects that bolstered flood protection whilst also supporting livelihoods and the local economy. In areas where security or accessibility were issues, we have seen effective use of vouchers. The most popular option remains unconditional cash transfers (used in 70% of relevant projects). Cash transfers provide exceptional flexibility. They allow affected populations to buy the goods and support that best meet their needs and, when circumstances change, cash can quickly be reassigned to other activities. In order to understand the factors affecting the use of cash programming in different countries, we commissioned the London School of Economics to create a ‘Cash Feasibility Index’ to help decision makers to reach appropriate project recommendations. The Index will be launched in late 2017. We also encourage member-led activities that invest in reviewing innovative approaches or exploring lesser known contexts as part of the learning budget (1% of the Start Fund disbursement pot is set aside for these additional learning activities). For example, following a conflict response in South Sudan, World Vision received Start Fund support for a context analysis of urban areas in Juba. The research identified the potential benefits of cash programming, including the reduction of inclusion and exclusion errors in targeting vulnerable groups. World Vision acted on the analysis to expand their urban cash programming in partnership with the World Food Programme (WFP). Our learning shows that coordination between agencies is critical to effective cash transfer programming. Coordination reduces beneficiary and geographical overlaps and increases response consistency. Consistent transfer amounts and distributions of other items leads to consistency across projects, and long-term agreements with financial and distribution providers helps to develop increasingly fast and cost effective responses. Read more about cash aid here. On Christmas Day 2016, Typhoon Nock-ten hit the eastern side of the Philippines. This intense cyclone brought disruption to tens of thousands but devastation to several of the communities unlucky enough to be sited where it made landfall. Through the Start Fund, ACTED and three other members helped thousands of people on the worst hit area, Catanduanes Island, in part, with cash. Workers, hired by ACTED during a cash-for-work project, rebuild the house of Mrs Luz Teope, a widow and mother of four, after Nock-Ten. Analyn, a widow, cares for her four children, including her 25-year old eldest daughter, Malaya, who has special needs. The family’s only income comes from another of Analyn’s daughters who works as a waitress. 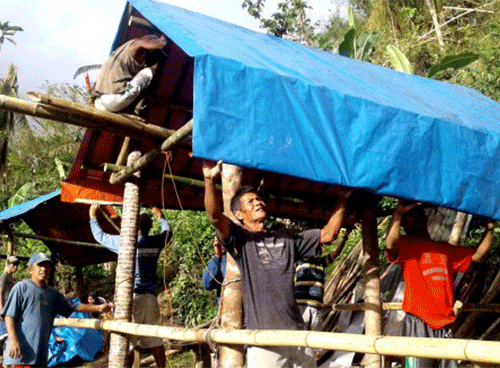 When Nock-ten hit, Analyn’s house – built of bamboo and nipa palm – was torn apart. All that was left was the concrete foundation slab. 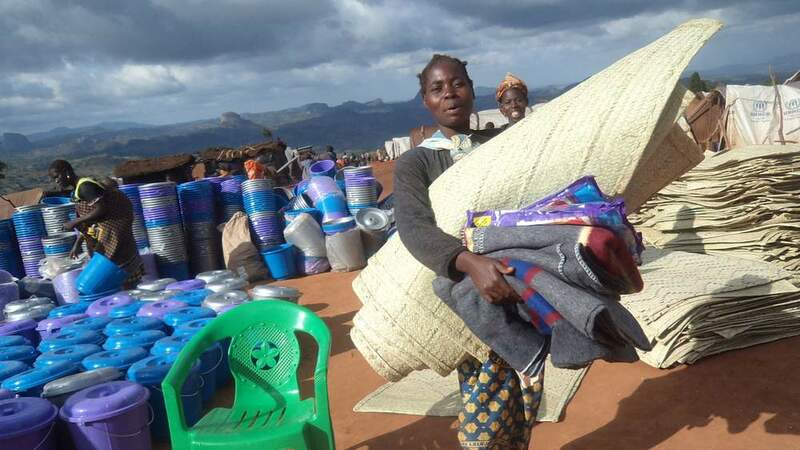 ACTED supplied Analyn with a shelter repair kit to rebuild her home – but, like many of the most vulnerable, her family was not able to rebuild without further support. Helped by Batalay village authorities, ACTED also gave families cash so they could hire local workers to repair and rebuild their homes. Based on my experience of typhoon response in Philippines, lots of times to reach vulnerable groups quickly, we revert to what we know best like delivering shelter kits. We used the Start Fund to experiment with a cash-for-work project to support the communities with the greatest needs. This is an experience that we will look to repeat in the future. Read more about Typhoon Nock-ten here. The Start Fund is unique in that it has delegated authority from its donors. Decisions are made by and within the Start Network membership. Frontline responders can identify and respond to crises based on need, without waiting for media or donor attention. Collective decision-making is at the heart of the Start Fund. All alerts to the Start Fund are communicated to each of Start Network’s 42 members, who then pool their information about the crisis. This is especially important for under-reported and low-profile crises. The Start Fund also requests bespoke, independent needs and financial analysis from its partners to inform project selection and allocation decisions. 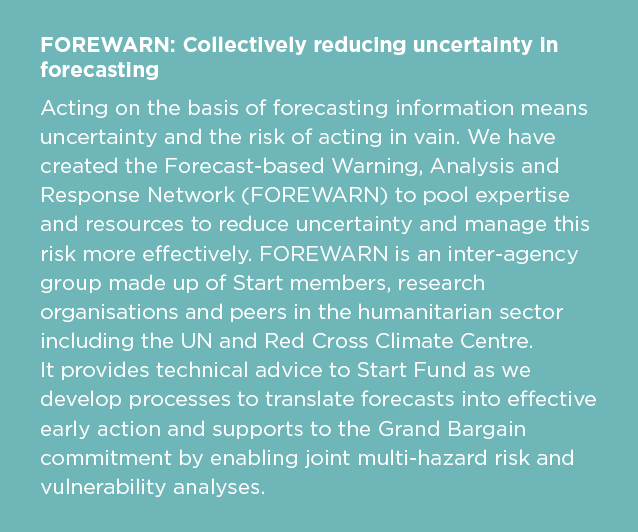 Decision meetings – a critical step in the alert cycle – provide a unique space for members to share analysis and expertise and hone the collective situational awareness that underpins Start Fund’s responses. Another exceptional aspect of the Start Fund is that members put the needs of the collective ahead of their short-term financial interests; this is fostering a new perspective and approach. 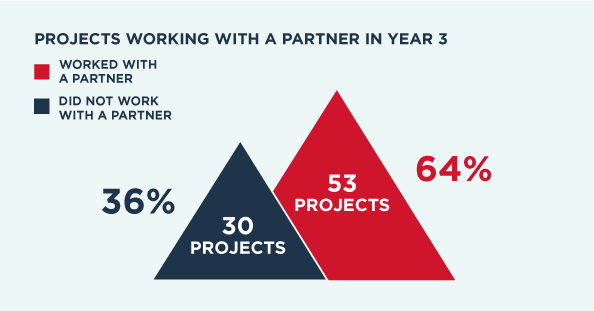 During year 3 more than a quarter of Start Network members alerted the fund without applying for funding themselves. Our members understand the need for action and take responsibility for triggering it, irrespective of whether or not their organisation will be involved in the response. We are constantly looking to improve Start Fund’s transparency and engagement. Our new online portal, launched in February 2017, is an important step in this direction. 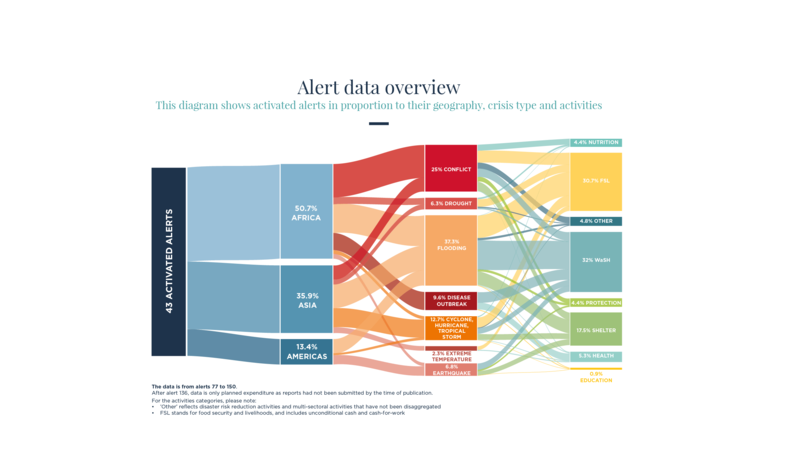 Members, donors, and other stakeholders can now stay up to date on active alerts and explore data, decisions and learning from previous responses. "The Start Fund portal is miles ahead in providing easily accessible information to all agencies and its partners. In a heartbeat, Concern Worldwide can find out all its data from its past projects and the decision-making behind our responses. In terms of transparency, you can’t ask for much more than that." Having centralised online information helps to inform future decision-making and has reduced the time spent by staff and members communicating information about alerts. The portal is designed to be adaptable and scalable as the Start Fund continues to grow. Blockchain technology has the potential to transform how the humanitarian sector operates. The Start Fund is testing this new technology, exploring how it could improve humanitarian financing infrastructure and drive greater transparency, decentralisation and trust. During 2016, the Start Network worked with developer, Consensys, to test the concept of a blockchain-based decision-making platform for the Start Fund. The platform will allow decision makers to record allocation transactions on a Start Fund blockchain shared and corroborated by all users. In 2016, Start secured funding from the Estonian government (a world leader in the application of blockchain) to continue this pilot and explore new ways in which distributed ledger technology could improve the operation of humanitarian finance. With Estonia’s contribution, our next step is to work with technology-sector partners to pilot a blockchain-based fund disbursement platform that will be faster, cheaper and more secure. It will track funds from donor to recipient, minimising corruption and increasing accountability and transparency. "We now have the exciting prospect of being able to provide the first clear evidence that this technology could transform the humanitarian system. StartNetwork’s founding principles include transparency, accountability, decentralised decision making and flexibility. These are exactly the benefits that Blockchain applications could bring." The principles of diversity and decentralisation are critical to the Start Fund’s success, but we need to further localise in order to really transform the humanitarian system. There is broad consensus within the humanitarian community that response capacity at the local level needs to be strengthened. In any emergency, the first people to respond and give life-saving help are those directly affected by it. National and local actors are often best placed to ensure accountability to those affected, and have the strongest contextual understanding to help shape appropriate programmes. Local organisations provide continuity across the disaster cycle from resilience to response, and from crisis to crisis. The growing number and scale of disasters demands more local response capacity, but the broad change needed to create a more enabling environment for local and national NGOs is slow in coming. The Start Fund is uniquely positioned to shift power to the national level. The scale and diversity of the Network’s stakeholders enables it to lead system-wide change. The Start Fund platform promotes collective decision making, giving members and national NGOs equal decision making power through peer review. Our philosophy is about moving from transactional partnerships to meaningful collaborations. The pooled funding mechanism also gives donors a single access point to hundreds of actors globally. The Disaster Emergency Preparedness Programme, the Network’s initiative to strengthen the capacity of national actors, is also making an important contribution to localisation. DEPP has projects in 10 countries, many of which overlap with Start Fund decision-making groups. We know we need to do more. In 2016, we commissioned an external review to assess the Start Fund against seven dimensions of localisation. 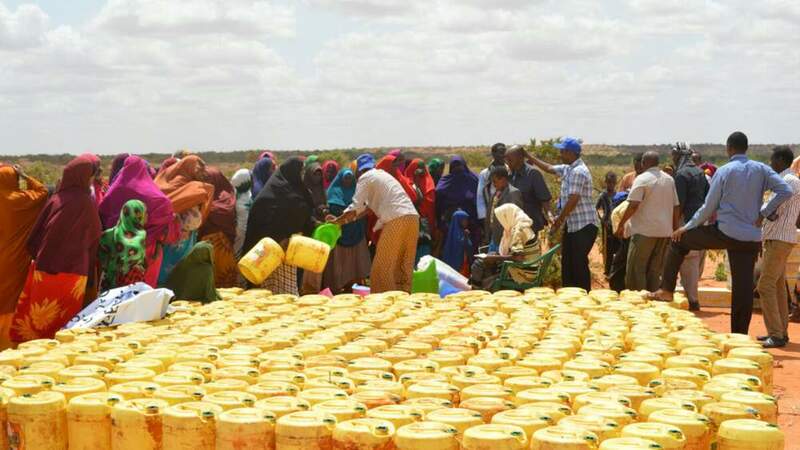 These go beyond the humanitarian financing discussions that have largely focused on the Grand Bargain commitment that, by 2020, 25% of relief go to national and local actors ‘as directly as possible’. The work of the external evaluation - together with the experience we gain from the standing decision making groups and the national Bangladesh Start Fund - will help us to move beyond decentralisation towards transformative change. As part of the Start Fund’s effort to move decision making nearer to affected communities, members’ local partners can participate in the selection of projects in their own countries. National NGOs can also raise an alert, or apply for funding, though only through a member at present. In early 2017, the Malawian organisation, MANEPO, experienced this process when it reacted to unusually severe floods the centre of the country. 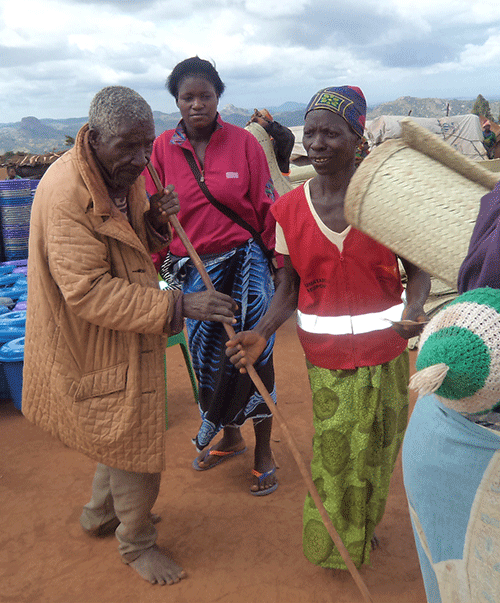 Non-food items distributed to the elderly after flooding in south and central Malawi. In February 2017, after months of heavy rainfall, flooding in south and central Malawi affected nearly 7,000 people. MANEPO approached the decision making group about a possible Start Fund alert. “We knew how to use the Fund and thought this crisis would be a good fit,” said Andrew. Christian Aid collaborated with MANEPO to share information on the crisis and to raise the alert. Within 24 hours, the Fund had been activated and the group met to select the best response to the flooding. "I was proud to be able share with our stakeholders how the Start Fund works, to talk about it as something innovative and to say that collective decision making happens in country, with great speed. The Start Fund put us on the map, and we were able to put the Start Network on the map in Malawi." 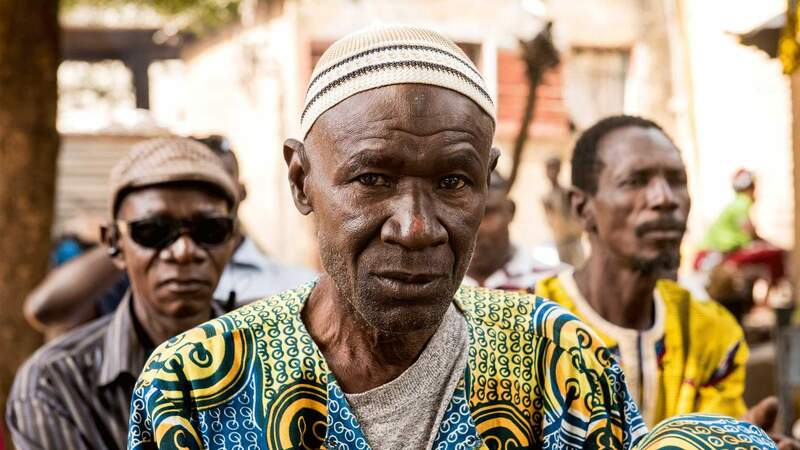 Christian Aid and MANEPO’s joint proposal - exceptional because of its emphasis on older people - was selected for funding. “We received a lot of attention for this project as it was one of the first to target elderly people,” Andrew says. The project provided cash transfers to the most vulnerable to help them recover from the floods. The local reaction was overwhelming. “There was great excitement - from the community and the government - that we were addressing the needs of elderly that are always neglected by large institutions like the UN”. 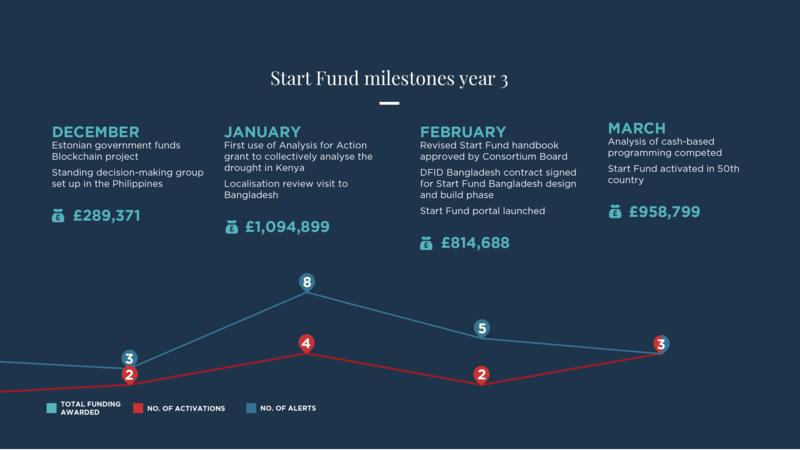 Over the course of the past three years, the global Start Fund responded four times to crises in Bangladesh, making £1,550,000 available to affected communities. Member NGOs, as well as DFID Bangladesh, recognised the value of the Start Fund in these situations, often bringing in support before other resources could be mobilised. 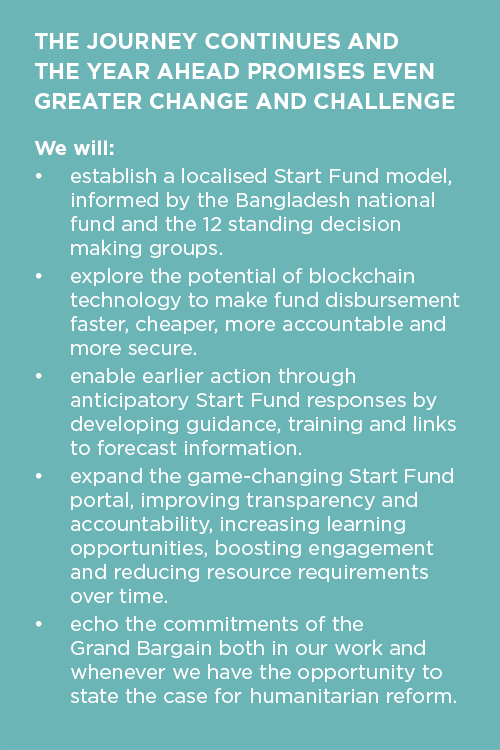 During 2016, Start members in Bangladesh and those actively participating in the Global Start Fund, worked together to shape a proposal at the invitation of DFID to evolve and extend the Start Fund so that it can be adapted at the national level. 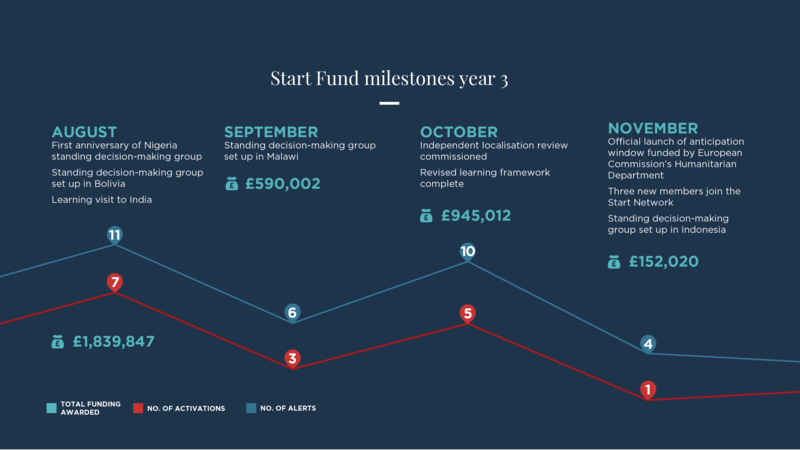 The Start Network aims to devolve to an independent national Start Fund mechanism over the next four years. We envision both local and national NGOs having direct access to funds. 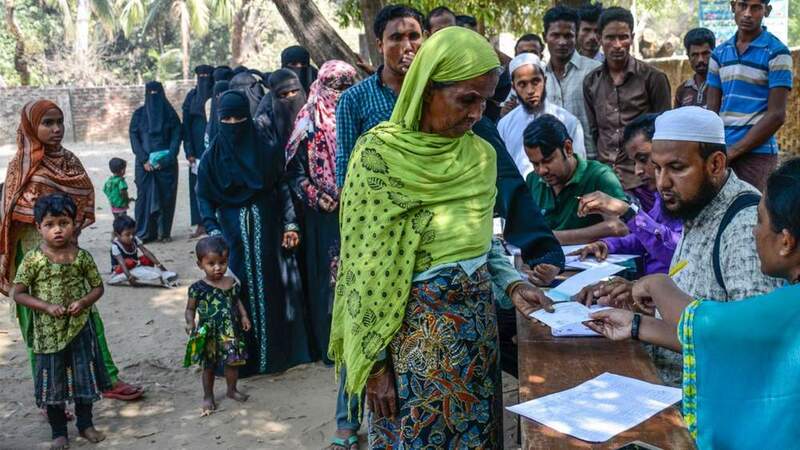 It is expected that the fund, with an earmarked disbursement pot of approximately £2.2 million per annum, could fund responses to around a dozen crises per year in Bangladesh. In February 2017, Start signed the contract with DFID for the design and build phase, which will run until August 2017. During this time, we will design the principles and processes that will help Start Fund Bangladesh deliver its localisation promise. "It is an honour to be part of setting up Start Network Bangladesh, my aspiration for localisation. Start Network has been the fastest funding mechanism for ‘often un-noticed by others’ crisis in Bangladesh, localisation of Start Network will bring it even closer to the affected communities." 1 RAPID RESPONSE | Enable an earlier and faster response to crisis-affected people in Bangladesh. 2 ADVOCACY FOR HUMANITARIAN INVESTMENT | Attract additional and better donor funding to Bangladesh. 3 LOCALISATION | Devolve the Start Fund to a national level and give national and local actors direct access to funding. 4 PROMOTE NGO COLLABORATION | Practise, measure and showcase the benefits of collaboration in humanitarian action. CRS, alert 117 Mali | Community members in the Djenne Circle practice first aid techniques as they prepare for anticipated flooding of the Niger River. The need for the Start Fund has never been clearer. The year ahead is likely to see simultaneous famines in Nigeria, Horn of Africa, South Sudan and Yemen. As global attention turns to these, many other crises in need of assistance will go unnoticed. We can only rise to this level of challenge if we start to think to humanitarian action as a global public good and the Start Fund as a global safety net for vulnerable communities living on the edge of disaster. We hope that more likeminded donors, partners and NGOs will join in this collective endeavour to be better, and do better. 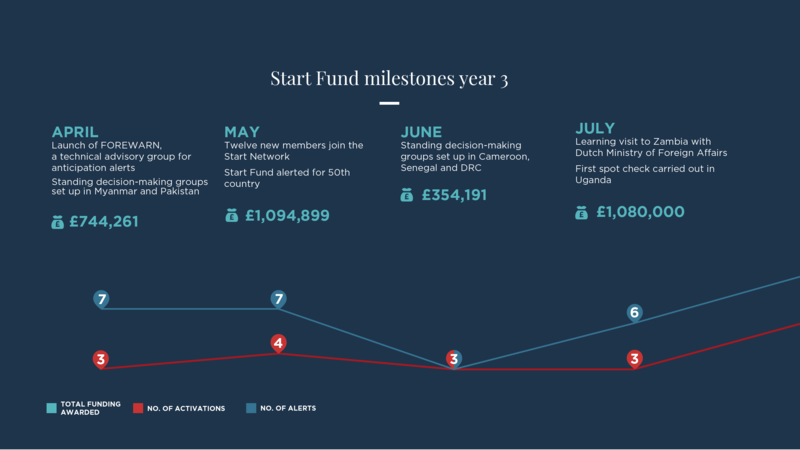 The growing activity of both the Start Fund and other Start Network initiatives has led to increasing demand for country-led strategies to further the Network’s vision. 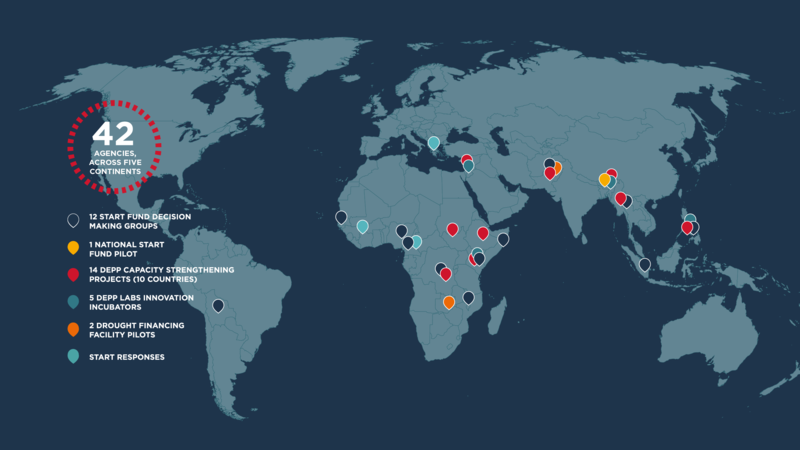 We are excited to see the growth of our fledging network and confident that it has the potential to bring radical change to humanitarian action. Read the full Start Fund annual report including our financial statement. Read more about the Start Fund. "The world is in a moment of tremendous significance. There is both danger and opportunity. The Start Fund offers us an opportunity to co-create a global public good that will be effective today, and will provide our children with a safety net in the future."